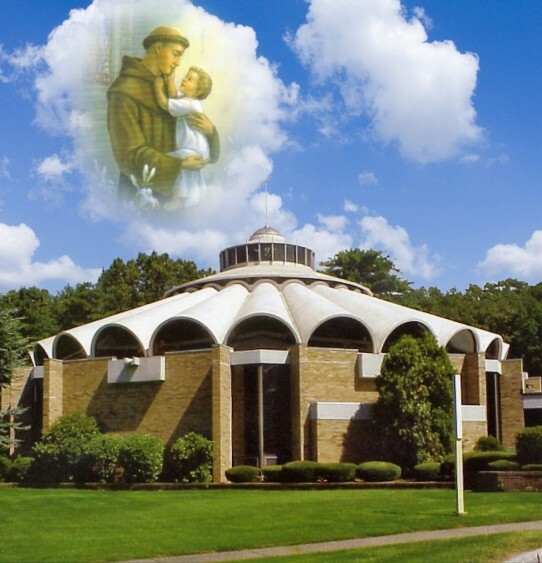 Holy Days of Obligation Vigil: 6:00 p.m.
Mass & Novena for St. Anthony: Tuesday, 12:00 p.m.
Sunday Mass: 8:30 a.m. & 10:30 a.m.
6:00 p.m. until 7:30 p.m. Tickets cost $20.00. Catered by Tany Boulos 413.885.2140 and Marie Elias. Coffee Hour is held on Sunday after both Masses. Stop in for some good food and great fellowship with our community. Receive the grace and light of God through the sacraments. At Saint Anthony Maronite Catholic Church, we want our parishioners to experience the Holy Presence. Experience the love of Christ through celebrating the sacraments with our congregation. 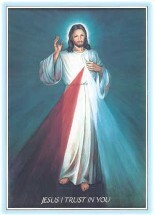 Join us in devotion by taking part in the daily liturgy and Sunday Mass. 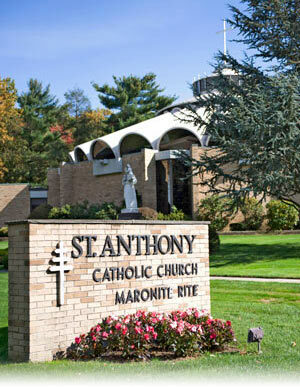 St. Anthony Maronite Catholic Church is part of the Maronite rite of the Catholic Church. 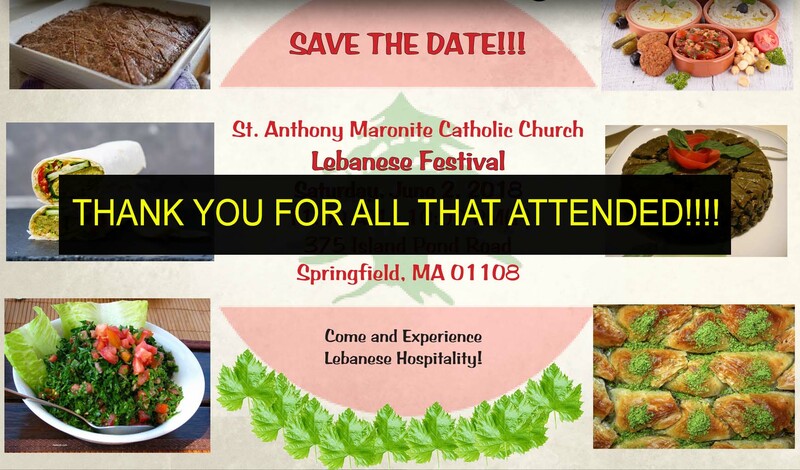 While our congregation is largely ethnic Lebanese, we invite all believers to join us for Sunday Mass or one of our special events. Our Springfield, Massachusetts church offers daily mass, as well as two masses every Sunday. We have been serving the community for more than 100 years. During the course of this time, we have built a strong congregation of believers, and we are always striving to continue that growth. 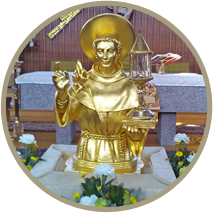 Back in 2014, an important relic of Saint Anthony of Padua journeyed to America and visited our church for nine days, from September 6 through 14. During these nine days, we conducted and organized events, including a youth day and special opportunities for all members of our parish, as well as all local parishes and the faithful, to venerate the relic. Send us your email address below to be kept up to date on parish information!